B Flectcher Fabrication’s have worked with customers in the Bradford and West Yorkshire area and beyond for over 14 years. Our quality service focuses on attention to detail and the specific requirements of every individual job. 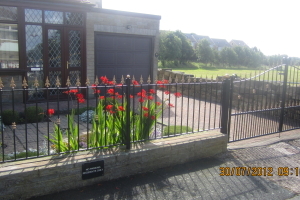 B Flectcher Fabrication’s produces quality gates and railings at very competitive prices. Our prices are very competitive and you will find it hard to match our prices and our quality. 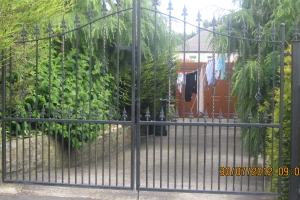 B Flectcher Fabrication’s also install security gates and grills affording our customers protection and peace of mind while at the same time adding value enhancing to their property. 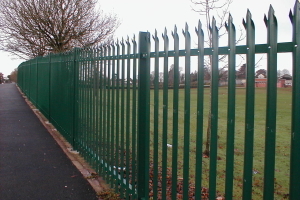 Commercial fabrications and gate repair services are also available for small and large projects. For a free quotation please contact Bernard at any time by phone or email. 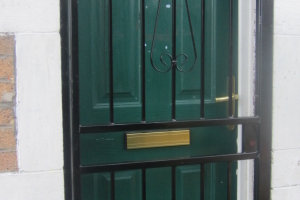 Our window grills can offer increased security to your property without making your house look like a baked bean can. Our wrought iron grills are elegant and strong. Having our security grills on your windows will make you and your family feel more safe and yet preserve the character and style of your house, adding value.